Upon completion of construction, settlement and subsidence can result in structural movement and cracks appearing in masonry. In all cases a Structural Consulting Engineer should be employed to provide an opinion. Quite often repairs can be affected locally, and without resorting to underpinning or re-building. 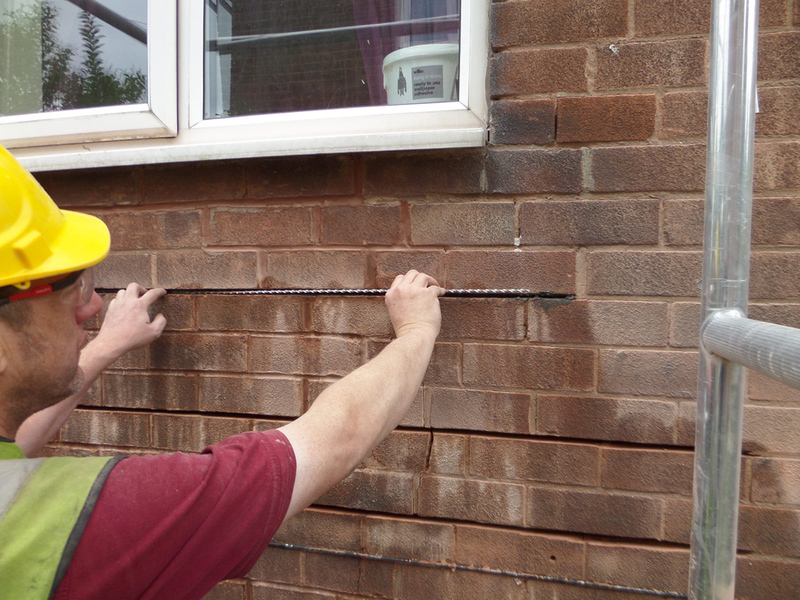 Eradakil are ThorHelical Approved Contractors, and can offer crack stitching, grouting, and cavity wall tie replacement services. The crack stitching ties are grouted into existing masonry to repair cracks in walls and to increase their flexural strength. An example of innovative ThorHellical application was during the recent refurbishment of Renfrew Town Hall: The building had been extensively damaged by fire shortly after construction, and the upper level internal timber lintels were badly charred during the fire. They were left in place during the fire-damage repair works, and reinforced with flat bars. The damaged lintels subsequently compressed under the weight of masonry, which then cracked and deflected to the extent that it was not possible to remove these high-level defective lintels without substantial temporary works, or re-building. In fact, we grouted and stabilized the collapsed masonry with ThorHelical bars, which enabled us to then replace the lintels with pre-stressed concrete. Eradakil Limited are members of GPI (Guarantee Protection Insurance) and CGS (Construction Guarantee Services) who administer and issue Independent Insurance Policies to cover masonry stabilisation projects.